When I became a yoga teacher I knew I wanted to teach yoga to adults. I wasn’t sure if I would have the patience to teach children, including my own son. Instead, this past summer I sent my kid to yoga camp and he absolutely loved it. I loved that he came home talking about “reflection time”, made a “mind jar” (a small glass jar filled with water, glitter and food colouring) and was able to show me all the poses he learned. Teaching children about yoga its postures can be challenging, but what they take away from yoga and apply to their everyday lives is priceless and well worth the effort. 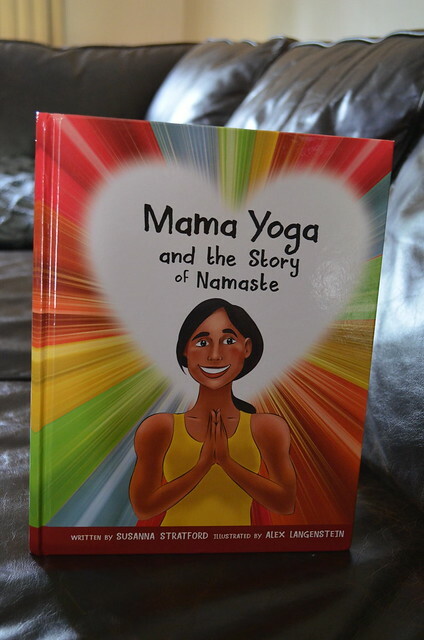 Mama Yoga and the Story of Namaste, by Susanna Stratford, is a new book that can help you teach youngsters the principles of yoga. The story details the excitement of a child named Maansi who cannot wait for school because it is the day the yoga teacher (Mama Yoga) comes to teach her class yoga. Using the postures of yoga, Mama Yoga takes the class on an adventure around the world, teaches them the meaning of the word Namaste and encourages them to look internally and appreciate their own kindness and intelligence. The illustrations are beautifully done and not overly cartoon-ish, which is nice as this would appeal to older children as well. The second half of the book shows actual children demonstrating 33 different poses, which can be done once the book has been read. My son loved the story and trying out the various poses. Many of these poses he was familiar with, but others he had never tried before and he enjoyed the challenge. Yoga for children has so many benefits. It helps children concentrate, encourages meditation to calm them down, and improves flexibility and strength, so there are really no downsides to teaching children yoga. 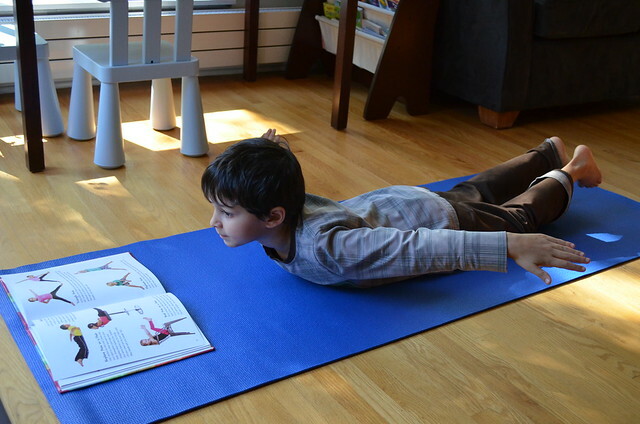 The story Susanna has created allows an affordable way to introduce yoga into the home or classroom. The book retails for $17.95 USD and is currently only available from Susanna’s website at www.mamayogakids.com. Susanna also offers workshops in and around the Seattle, WA area, primarily for elementary-aged students. I really like that this book has pictures to show you each position! 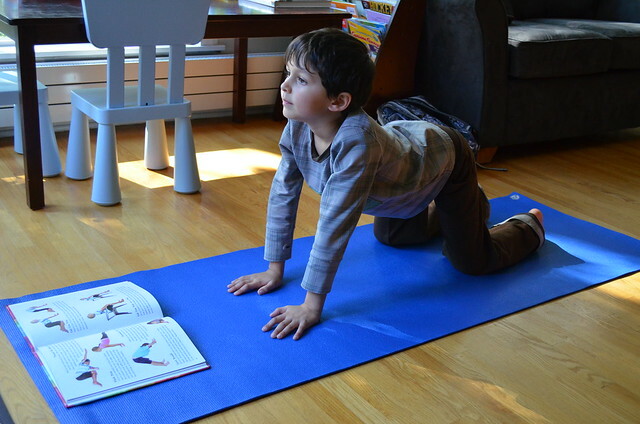 What a great way to introduce yoga to your kids or grandkids! This sounds like a lovely book! Looks like a great book for children to learn from. It certainly looks like your son enjoys doing yoga 🙂 Can’t say I’ve ever been interested in it myself. I did not know that there are yoga classes for kids! That is amazing. Yoga is so amazing for the mind and body so I think getting kids into this at a young age is amazing! I’d rather do super active things with my kids like running, skipping etc than yoga, but they would probably enjoy it. This is an awesome book. My kids have been doing yoga in gym class at school and really love it.